Guest Bio: Dr. Faith Oliver, affectionately known as Dr. Faith, is an award-winning Oral Surgeon in private practice in the Dallas, Texas-area. Dr. Faith is a graduate of the Baylor College of Dentistry and completed her Oral and Maxillofacial residency at Howard University Hospital in Washington, D.C. She is also the Chief Oral Surgeon of Brown Mobile Dentistry, a company that travels throughout cities in the Dallas-Fort Worth region, providing oral surgery and general dentistry services for patients who are homebound or confined to nursing homes or rehabilitation facilities. Committed to helping people look and feel better about themselves, Dr. Faith recently and successfully launched, Faces by Dr. Faith, and is an esteemed member of the American Academy of Facial Esthetics. She wears many hats as a wife, mom, business owner, servant leader, and increasingly sought-after speaker. Dr. Faith says. She lives by the creed: Don’t just make a living. Make a difference. Segment Overview: Dr. 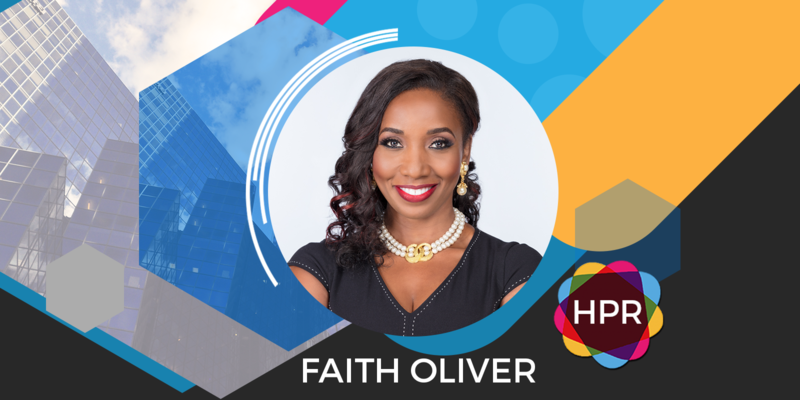 Faith Oliver, a Dallas-based oral surgeon, talks about the importance of oral care and the types of services that are available to people who might be missing teeth, are in the public eye, face embarrassment, etc. Neal Howard: Welcome to the program. I’m your host Neal Howard here on Health Professional Radio. Thank you for joining us today. Our guest is Dr. Faith Oliver affectionately known as Dr. Faith. She’s award-winning oral surgeon in private practice in the Dallas-Fort Worth area. She’s also Chief Oral Surgeon of Brown Mobile Dentistry, now that’s a company that travels throughout the cities in that area providing oral surgery and general dentistry for folks that may be homebound or otherwise confined to one location. She’s also successfully launched “Faces by Faith”. Now she helps folks not only with dentistry but with facial makeovers as well to help people feel better about themselves. Welcome to Health Professional Radio Dr. Faith Oliver. Thank you for taking the time. Dr. Faith Oliver: Well, thank you for having me. I appreciate the time. N: Great. Now as I mentioned, you are an oral surgeon. How did you get into oral surgery, is that something that you initially set out to do when you started into medicine? O: No, actually I thought that I would just practice general dentistry with my brother. He was a general dentist and he’s the reason that I even pursued dentistry. But I found that in dental school, I just gravitated to the surgery department. I was intrigued by what the residents were doing and I wanted to get extra hours in oral surgery and I just solicited the help of a trusted mentor who helped me to get into a residency program and the rest have been history. N: Now you are in private practice there in the Dallas Fort Worth area. Do you specialize in say older people, young people or do you just whatever the need is, you have a service for it? O: Well, you’re absolutely correct. I am in private practice in the Dallas Fort Worth area, and June would be 20 years. My practice basically caters from age through 13 and older. So I have a wide range of patient population that I treat. N: Being Chief of oral surgery at Brown Mobile Dentistry, talk about this company as I said you travel, it’s mobile dentistry. It’s intriguing. Let me learn about that. O: Yes. This was an opportunity that presented itself to me about five and a half years ago. A lady she came to recruit me. So they needed an oral surgeon for Brown Mobile Dentistry. And I was skeptical at first, because it was different for me and I didn’t know that if it was going to fit into my lifestyle but I must tell you that this has been the most rewarding thing that I had incorporated into my professional life. I do this every Monday and I have an assistant and we drive pretty much all over Texas. We all have different territories and because I’m the oral surgeon, I go all over because we have five general dentists that work with us as well. And we provide oral surgery services to patients like you said that are homebound or cannot get to the general dentists or cannot get to the oral surgeons office. We basically want to restore their form and their function, improve their quality of life. We are relieving pain for them and most importantly, we are removing disease processes that may be going on inside of their oral cavity because their oral hygiene may be compromised for whatever reason. So it is truly rewarding. The patients feel better and you can imagine having a loved one who can’t get to an oral surgeon’s office who’s in pain and we come in and we have all our sterilized equipment. We provide everything at bedside and we just make that person’s quality of life, we just take it to another level. N: Is that age restricted as well or do you deal with this people say in rehab facilities, nursing homes? O: No. It’s not age restricted and you’re absolutely right. We deal with patients who are in rehabilitation centers. We have patients as young as 26 that may be in a rehabilitation center that needed some oral surgery. So no, there’s no age restriction. A lot of the patients are older but again there’s no age restriction on it. N: You’re also, I understand a successful makeup artist. Talk about how you would incorporate a makeup with dentistry? O: Makeup has been a passion of mine for at least about 15 years. I’ve just always loved it and it was actually doing a season where I’ve needed an artistic outlet. I was under a lot of stress and makeup did that for me. And a friend of mine said, “You know, you’re doing quite a bit of makeup.”, and I was just doing proms and weddings and just for friends you said, “You’re doing quite a bit of makeup for free. Have you ever thought about starting a business?”. And then a light bulb went off because like I said, I’m already doing it one night you paid for it, it is something that I enjoy. So with the help of another friend, I launched Faces by Dr. Faith and at first, I just kind of was not taking it real seriously well. Faces by Dr. Faith has a life of her own. I use her in third person. So I wanted to marry what I’m doing in oral surgery with my passion for makeup and I am doing that and I’m so excited about this transition that my practice is taking because I want that under one umbrella. I am an agate of changing way people feel about themselves, so that they can go out and present themselves with more confidence. And a lot of times, just having a makeover can do that for you. So again, that’s why I wanted to incorporate the oral surgery, and the makeup, and the beauty, and the helping and healing, all under one umbrella. N: Now as a member of the American Academy of Facial Aesthetics, do you also offer Botox injections or things, not just makeup but other things having to do with facial improvements? O: Yes, absolutely. I just recently joined that wonderful organization. I took their Level 1 training for Botox and dermal fillers because I believe that if you’re going to do something, you need to get the proper training so that you’re doing it correctly, even down to the paperwork I want everything to be done correctly. So yes, I joined the Association so that I can offer that to my clients as well and that just adds again to their overall aesthetic beauty. N: When people have I guess for lack of a better term bad teeth, sometimes they get them removed often, they get them replaced, what about implants and dentures, do you deal with those at all? O: Yes, absolutely. I do implants in my office and again like I said, those are a great way of replacing teeth, if you don’t want a bridge or you have some other issues where other dental restorations are not good for you, implants are wonderful ways to replace missing teeth. And I usually work with another restoring doctors or I would place the implant and the restoring dentist would put the crown or the denture or whatever is going to connect to that particular implant. But that is a wonderful way of tooth replacement and is an alternative treatment to a bridge or something like that or removable partial denture, the patient didn’t want that as well. N: Where can we go online and learn more about your practice and your services there in the Dallas-Fort Worth area? O: Wonderful. My website is of course www.faithoralsurgerycenter.com. I am on Facebook as well, Faith Oral Surgery Center LLC and Faces by Dr. Faith and I’m on that Instagram and Facebook as well. And soon, there will be a Speaking by Faith website coming out. So I’m excited about that as well. N: Great. I know that you’ve got a creed that you kind of live your practice and your life by. Why don’t you let our listeners in on that creed? O: I live by the creed, “Don’t just make a living. Make a difference.”, and that is important to me because just briefly, I lost my best friend to ALS. And going through that experience with him, it made me think about how I’m touching people. How I’m affecting people. Am I making a difference in anyone’s life? That’s important. So like I said, I adopted that creed and because that’s what I want to do. I want to make a difference so everyone who comes in contact with me – to live feeling better, looking better or more just more hopeful about their situation. N: Well, I thank you for talking with us today doctor. O: Thank you Neal. I appreciate you having me. N: You’ve been listening to Health Professional Radio. I’m your host Neal Howard. Transcripts and audio of the program are available at healthprofessionalradio.com.au and also at hpr.fm. You can subscribe to this podcast on iTunes, listen in and download at SoundCloud and be sure and visit our affiliates page at healthprofessionalradio.com.au. and also at hpr.fm.